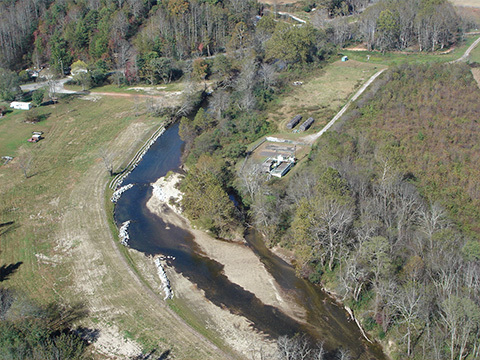 BEA provided surveying and engineering for 27 sites identified in Transylvania County that could potentially damage water quality after the destruction of the tropical storm activity in 2004. BEA worked closely with property owners and Natural Resource Conservation Service field representatives to insure repairs met the property owners and oversight agencies approval. BEA managed the contracting for the repairs and construction administration for the publicly funded project.